Samsung's Latest Smartphones Sweep Consumer Ratings in U.S.
Samsung's smartphones swept U.S. magazine Consumer Reports' latest ratings. 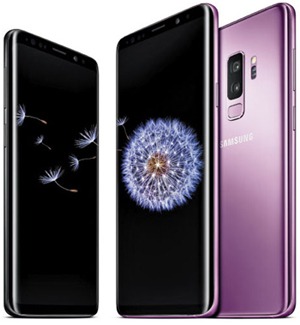 The handset maker took the top five spots with its flagship Galaxy S9 and S9 Plus placing first and second and its Galaxy S8 series taking the next spots. Apple's iPhone 8 Plus, iPhone 8 and iPhone X placed sixth to eighth. Huawei's Mate 10 ranked 10th. "It was durability, speedier processing, and top-quality sound that nudged the S9... just ahead of the competition in an exceptionally crowded field," the magazine said. "Samsung's new flagship phones are more resistant to breaking, are plenty fast, and are more pleasing to the ear. And as Galaxy fans have come to expect, they once again raise the standard for overall performance." But it added, "The S9 phones both posted drops in battery life compared with their predecessors."